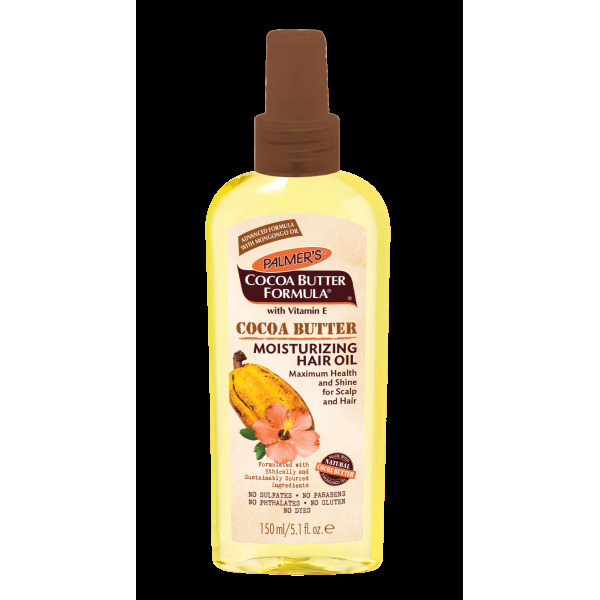 Palmer's Cocoa Butter Formula Moisturizing Spray Oil, a nourishing spray oil, instantly restores moisture to dry hair. 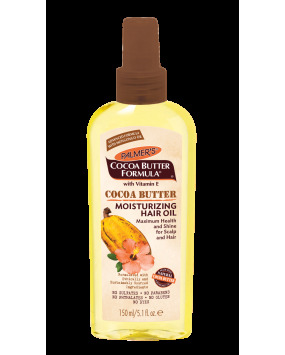 Specially formulated with Cocoa Butter, Vitamin E and Peppermint Oil to strengthen hair and allow it grow healthy and long. Excellent for keeping weaves soft and shiny. Naturally high in Vitamin E and polyunsaturated fats, Mongongo Oil is an excellent emollient for healthy hair and a fortified scalp.